CAO Code: DC225 Programme Overview: If you are a caring individual who feels that you can contribute to the well being of others with intelligence and enthusiasm, then you will do well in nursing. In addition to the general entry requirements for admission to the university the following requirements apply: Standard: OD3 or HD3 Maths + OD3 or HD3 in one of Group 1. See printed prospectus for further detail. Programme Description: Nursing ‚Äì helping individuals and communities to enjoy the best health possible. A nurse has two very important roles in the community: * to help individuals/communities achieve, maintain or regain the best possible health. * to provide comfort, support and dignity in times of illness or death. It is a profession that calls for intelligence and emphathy. This degree will help you understand the needs of people who are in the care of nurses. It will also give you a sense of ‚Äòhow nursing works‚Äô, as well as the personal and professional qualities that are associated with effective nursing practice. You will learn why people are nursed in particular ways and how to deliver the nursing care that is required. Your academic learning and practical learning will go hand in hand and you will be encouraged to reflect on your experiences as you progress through the course. Programme Structure: The B.Sc. in Nursing takes a forward-thinking and dynamic approach to healthcare education. One key advantage of this course over others available is that you have various choices in Years 1 and 2. This gives you greater flexibility and allows you to focus on areas of nursing that interest you most. Of course the focus of the degree is on the fundamental issues in nursing practice, but disciplines like psychology, sociology, philosophy, law, pharmacology, microbiology and others all make an important contribution to the practice and profession of nursing. This is supported by the inclusion of practice modules, when you will be placed in your chosen area of nursing and helped to practice the skills you have learned in the real world of nursing firsthand. These will be under the supervision of registered nurses. In addition Year 2 offers an elective placement. In Year 4 you will spend thirty-six weeks on a paid internship with local health services providers. During this time you will gain further practice-based learning, while also taking formal assessments of practice competencies. Throughout the B.Sc. (Hons) Nursing course you will be able to relate what is learnt in academic modules to the practice setting, and vice-versa. 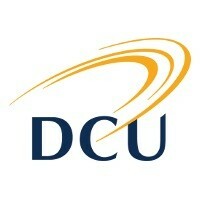 For information about Dublin City University (DCU), please visit our Training Provider page on Whichcollege.ie by clicking here.